A complete range of product offered by Samsung, which is catering primary need of security and safety of people well. Available at reasonable price, this product has sleek design, laced with so many features, and is very handy to use via mobile app. The upcoming technology in this age is that of the Internet of things. Samsung SmartThings ‘Internet of Things’ Hub helps connect various devices with each other using web to make your daily routine simpler. The concept has been applied to most of the activities that reoccur in our day to day life. These include smart home, smart car, baby monitors, health tracking devices, kitchenware and television sets, doors and Garage. Now if any time you leave the lights off of you bedroom, you can switch them off from your office by the click of a button. Or if you don’t feel like using a remote for the television you can give voice commands. Smart devices now maintain data about your heart rate, pulse rate, body mass index, and muscle composition to help you make right decisions. In the midst of all these new inventions, companies and entrepreneurs have popped up to take the idea forward. New companies such as FitBit, Withings, ARM Holdings and Atmel among many others have chosen Internet of things as their specialization. They have brought about brilliant changes and hold a significant amount of market share. 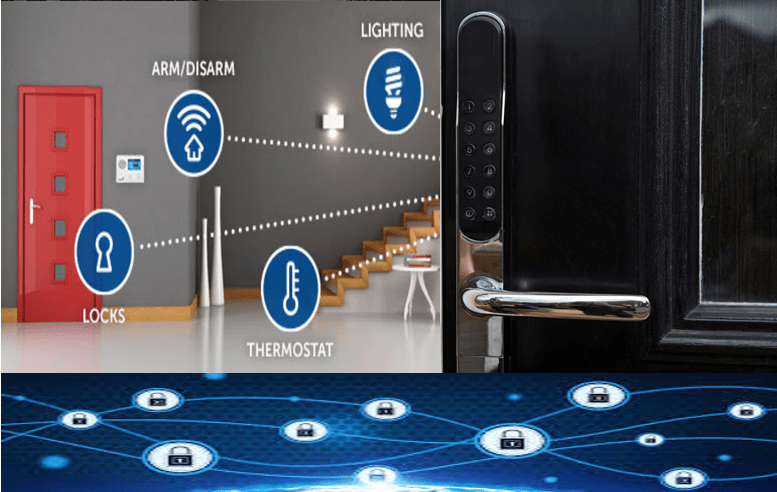 This rising interest in the IoT sector has drawn the attention of many big technological giants, especially, Samsung. Samsung in its newly found interest in this field has already developed a significant number of services and products to attract its loyal customers. 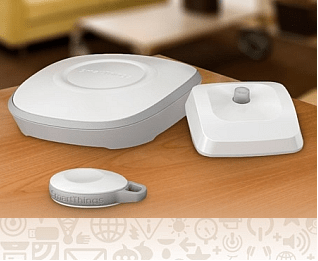 The most interesting thing to look in SmartThings Hub is the Home Monitoring Kit. It promises its users to convert their simple home into a smart home. You can then enhance your operations in your smart home using variety of applications compatible with this kit. This kit will set you on controlling, monitoring and securing your house from anywhere in the world. You can use compatible cameras, locks, alarms and switches to enhance the security and usage. Inside the house you might wake up to the aroma of hot coffee brewing in the coffeemaker already. Clearly the Samsung applications adapt themselves to your daily routine. With the Samsung smart devices, you can use as many devices as you want to sync them to work in unison. Your iPod, SmartCam, Bose Speakers and thermostat, all of these can be combined as to work in sync with each other. Employ the devices to make your life easier and tension free. The worry of switching of the lights or the effort to getting up to switch on the thermostat is all an idea of the past. 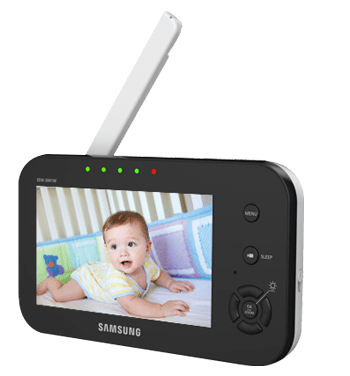 The Samsung baby monitor provides the parents with an extraordinary service of keeping a check on the babies even when the parents aren’t around. You can automate your home to monitor your kids. For example, 8.00 pm can be set as the bedtime where in the house announces the same. Children develop the habit of going to sleep at that time. The house can automatically switch off the lights expecting the young kids to fall asleep. For grown up kids, other features follow. You can expect bulbs of different colors in the room. You can automate the bulb colors to change according the activities at that point. Like for the reading time, the bulb would be white. For amazing party nights, you can delight the guests with disco nights. With the combination of applications and models, one can prepare a fixed schedule to go about the routine every day. This fixed schedule is more than help for families with busy parents. The schedule can be organised in steps defining each step to correspond it to a particular activity of the day. Do you worry too much about your house safety? 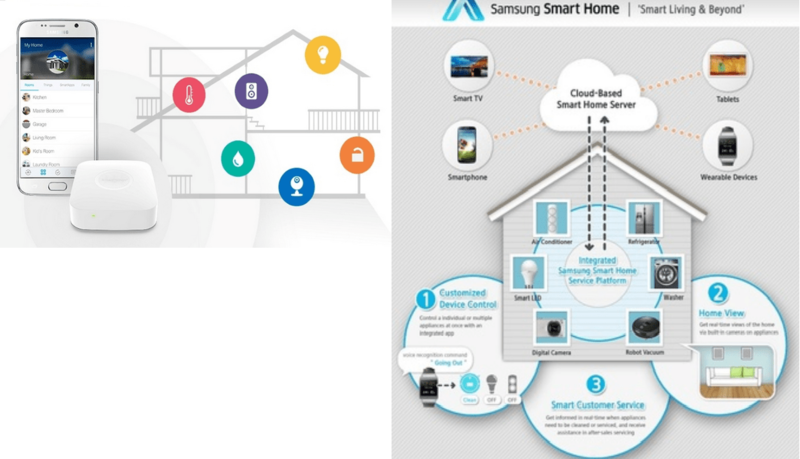 Samsung smartthings app provides a cluster of services including security, home automation and arrival sensors. Thus, if you need both, separate devices are not required. This means allows the owner to completely computerize the home to control the lights, switches and plugs. Along with this one can monitor the security cameras and alarms from your tablets or mobiles. The installed system can be checked by the mobile app (available for android and iOS) or their hardware supports. SmartApps has its own range of security cameras and alarms. So now not only comfort but security takes priority. Entertainment takes a step up! The entire essence of internet of things lies on the basis of comfort and convenience. By setting up your SmartApps in accordance with your playlist or laptop can help you relax as soon as you reach home. With a SmartThings compatible speaker you can be greeted by a customized message that welcomes you, and plays your favorite songs at the same time. Entertainment can just become more entertaining by allowing you to not. By plugging the appliances such as coffee maker or playlist to the SmartPlug, you can automate anything from anywhere in the world. These examples are just one of the few applications that developers at Samsung have come up with. Samsung as we know has a huge loyalty across the globe. Now with a step into the arena of Automated Systems, they aim to increase the customer base. With easy setup, no contracts and competitive prices, Samsung is all set to give every other company in the market a good shake.